It may take a listen or two, but you soon work out that these stories are not so fictional and have lots of links back to someone’s real life experiences. 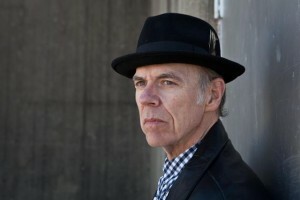 John Hiatt is a singer songwriter par excellence and wraps his songs into a mixture of american folk blues. Love, life and relationships are always part of his repertoire along with his insightful observations of others and there predicaments. There will be a few sly grins that will appear on your face as you listen to a couple of the tracks. 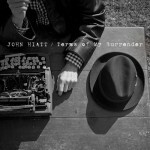 I f you love modern blues, if you like your american blues country music with a bit of gristle, and if you wonder about how a 61-year-old sees the world around him, then on your bike and get yourself a copy of this album, then turn up the volume! Besides anyone who wears a very stylish black hat must be taken seriously. 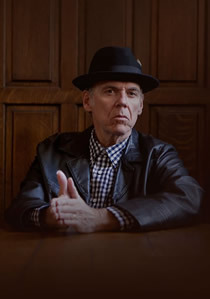 John Hiatt has yet to surrender. 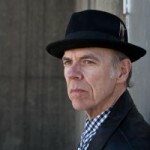 John Hiatt makes music because that’s what he does and this is the music he enjoys making and taking on the road. It is fun album – to be played loud and it also sounds great in the car when driving long distances. Still not sure about the heavy production on the first track, sounds a bit too much like a ‘wall of sound’ production and in places the orchestral back-up drowns out John’s new voice a little too much. 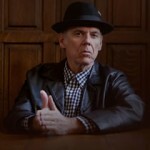 With age, his vocals have become a little bit rough and harsh, and this is a good thing.